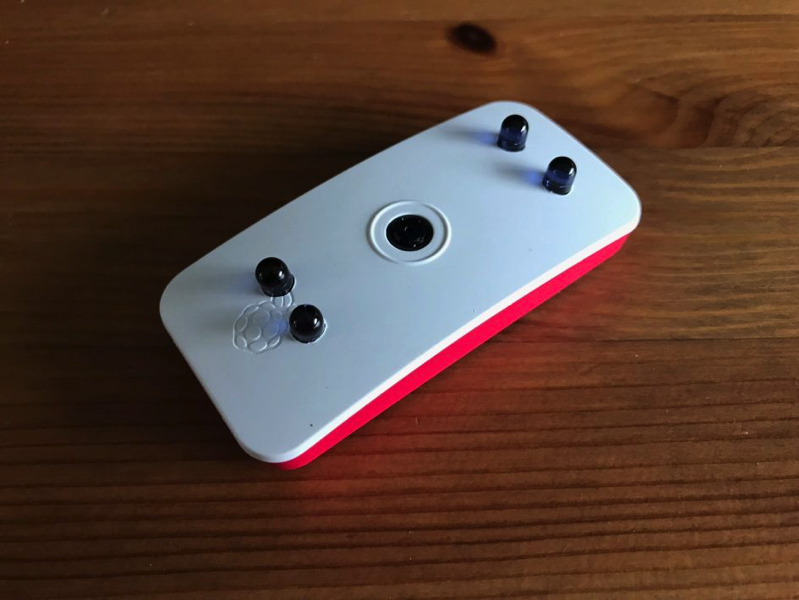 Official Raspberry Pi Zero Case LED Hack #piday #raspberrypi @Raspberry_Pi « Adafruit Industries – Makers, hackers, artists, designers and engineers! The official Raspberry Pi Zero case is already an excellent enclosure for your Pi Zero / Pi Zero W, especially if you make use of the camera module cover as this provides a self-contained camera setup, ideal for CCTV or home security. If you have already seen my Raspberry Pi Night Vision Camera Hack, then you’ll already know I have been using a Raspberry Pi and NoIR camera module for home security purposes and have been able to combine IR LEDs to provide an additional light source for use in the dark or at night. However, since the Pi Zero W and official Raspberry Pi Zero case was released, the small size makes for a perfect camera setup. My wife and I are expecting our first baby in December, and as first time parents we are currently being bombarded with advice and guidance on what to do. One seemingly common purchase seems to be a night vision baby monitor, but I’m surprised by the high cost for these devices and felt like I could build my own version instead.